Eating disorders are becoming better understood and less of a taboo. Those affected by conditions such as anorexia nervosa, bulimia, binge eating and other disorders associated with food usually need a combination of psychiatric as well as medical treatment. Private treatment for eating disorders can involve a residential stay or regular outpatient treatment at one of the private clinics that offers this service; referrals can be from the private sector and also from the NHS. The three most common eating disorders are anorexia, bulimia and binge eating. Anorexia can begin with a wish to lose weight but even when a target weight is achieved, the person affected still sees themselves as fat. This can continue even when they become painfully thin. 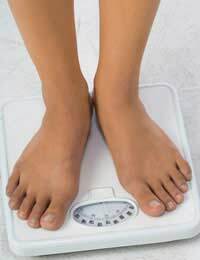 Anorexics are usually obsessed with food, perhaps weighing out portions and counting calories, or they may be only willing to eat at certain times of the day, in particular places, or only eat when alone. This makes social interaction very difficult as many activities with friends and family involved eating. Binge eating and bulimia are essentially the same, except that bulimics will purge themselves of the excess food, usually by making themselves vomit, shortly after a bingeing session. All eating disorders are more common in girls and they tend to start in the teenage years, during the emotionally difficult years of puberty. What Does Private Treatment Involve? Treatment for any type of eating disorder usually needs plenty of time. Therapy needs to continue over several weeks and often several months. The behaviours of the person affected need to be changed but their underlying attitude to eating and to food needs also to be modified to make sure they don’t return to under eating or bingeing after the end of their treatment. Large clinics in the UK offer private treatment for eating disorders over a period of months and the program of care is managed by a multidisciplinary team. A consultant psychiatrist is an important member of the team but treatment will also be given by psychologists, dieticians who specialise in helping people with eating disorders and nursing staff. In very severe cases, nasogastric feeding and intensive care is used to prevent death by starvation but, in general, the patients are encouraged to work through their difficulties with food and become part of the team that is trying to find the solution. If someone affected by anorexia or bulimia needs residential care at a private clinic, it is important that their education continues. Many private clinics have facilities to provide classes during a patient’s stay and there is a close liaison with the school normally attended. The staff at the clinic will work with the school once the residential part of the therapy is completed, they will work with the school to make it easier for the recovering patient to return. Not all people affected by eating disorders are treated in residential private clinics. Others are treated as outpatients, attending regular appointments and counselling sessions. With this type of private treatment, the therapy includes the whole family to help them understand the illness and the process that may help lead to recovery. These vary with the type of treatment necessary but funding is usually through private medical insurance. Treatment of most types of eating disorder are covered by private health insurance, by policies bought privately and by policies provided as part of an employment package. Private health insurance obtained through an employer frequently includes family cover, so would be able to pay for the private treatment necessary for a teenager. It is sometimes possible to obtain NHS funding for therapy for eating disorders, but this is usually arranged on a case-by-case basis. The best place to start is by asking your GP – anyone who needs treatment for an eating disorder will need to be referred to either the private sector or to an NHS eating disorder clinic by their GP in the first instance. If NHS funding is available, the GP will also need to make the application for the treatment to be paid for by the Primary Care Trust.